Edward Osborne Wilson (born June 10, 1929), usually cited as E. O. Wilson, is an American biologist, researcher, theorist, naturalist and author. His biological specialty is myrmecology, the study of ants, on which he is the world's leading expert. 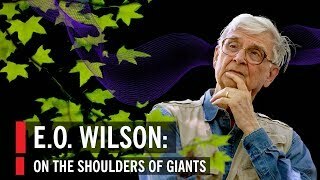 Wilson has been called "the father of sociobiology" and "the father of biodiversity", his environmental advocacy, and his secular-humanist and deist ideas pertaining to religious and ethical matters. Among his greatest contributions to ecological theory is the theory of island biogeography, which he developed in collaboration with the mathematical ecologist Robert MacArthur, which was the foundation of the development of conservation area design, as well as the unified neutral theory of biodiversity of Stephen Hubbell. Every generation benefits from the insights and discoveries of the generations who came before. “If I have seen a little further it is by standing on the shoulders of giants,” wrote Isaac Newton. In a special series, the World Science Festival invites audiences to stand on the shoulders of modern-day giants. The second annual address in this series will be given by esteemed evolutionary biologist and two-time Pulitzer Prize winner Edward O. Wilson, who will speak about radical advances in the study of human social behavior and evolutionary biology. 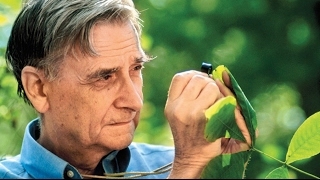 Biologist E. O. Wilson talks about his book, "The Future of Life."